Apologies to Rick Nelson and our friends in North Tustin. I am on Rick’s email list and he sends me occasional emails on events and items of concern for our neighbors to the north. He also sends me a regular “North Tustin Update” which I received a couple of weeks ago. He is probably wondering when I would publish anything. So, here we go. The annual FCA meeting was held on March 4th. They had several interesting speakers including, John Sears, OCFA Deputy Chief Laura Blaul and the ever entertaining, Honorable Todd Spitzer. I would like to have come to the meeting just for that but I was still recuperating from my injuries. Todd spoke about projects around his district, which includes North Tustin, and talked about issues facing the community. One of the issues was the impact long term park planning will have on North Tustin. FCA is busy gearing up for their campaign to switch water companies. In order to fund the effort to change from Golden State Water to another water company, the board is asking for a $100 contribution from each member. All funds for the effort will be segregated and dedicated for the sole purpose of funding the change. FCA alleges that GSW has been ripping off their customers for years with some of the highest rates around. Now, GSW intends to hike rates again (join the crowd) even though they are turning a substantial profit. A committee will look into changing water companies for the Cowan Heights and Lemon Heights customers. 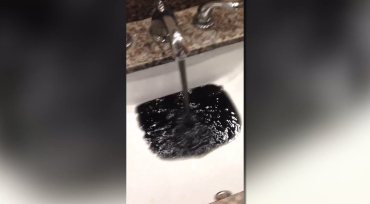 One of the companies they are looking at is Tustin Water. One item that is still on the boiler, although it has taken a simmer for the time being, is the Senior Living Facility proposed by the Catholic Diocese for property they own on Newport Avenue. The outcome of the lawsuit forbidding the construction is far from over. Appeals were made by both sides of the argument for different reasons. In a bit of good news for North Tustinites, the Orange County Board of Supervisors withdrew as a party to the appeal, leaving the Diocese on their own. FCA expects everything to be settled by this summer. We say, it ain’t over til the fat lady sings. Other items of interest to our rural neighbors include the formation of a Coyote Committee and vine maintenance on Red Hill Avenue. They are also looking for volunteers who can help with computer input, accounting and their website. If you want to know firsthand what is happening in North Tustin, check out their excellent website. If you are in a hurry, check out the news bulletin. The Crystal Cathedral, once owned by the Hour of Power ministries, has been acquired by the Catholic Diocese of Orange. The property, located in Garden Grove has been an icon of Orange County faith for years. From its humble beginnings as a drive-in church, the Reverend Robert Schuller took an outdoor stage and made it the centerpiece of what would be a worldwide ministry. Few people in Orange County and much of the world have not seen or heard of the Hour of Power and the Crystal Cathedral. As with many “worldwide” ministries, family feuds and scandal eventually rocked the church and many of its faithful followers found other flocks to gather in. According to the Diocese press release, the Crystal Cathedral Ministries may continue to use the church and some other campus structures for a period of up to three years. The memorial garden and other operations will be transferred immediately to the Diocese. A pastoral center is planned for the site and the deal allows for the transfer of St. Calistus Catholic Church to be transferred to the CCM faithful so they will continue to have a place to call home. Prior to the Crystal Cathedral coming up for sale due to bankruptcy proceedings, the Diocese of Orange had been planning to build a Cathedral in central Orange County that would house a new pastoral center and bishop’s seat. 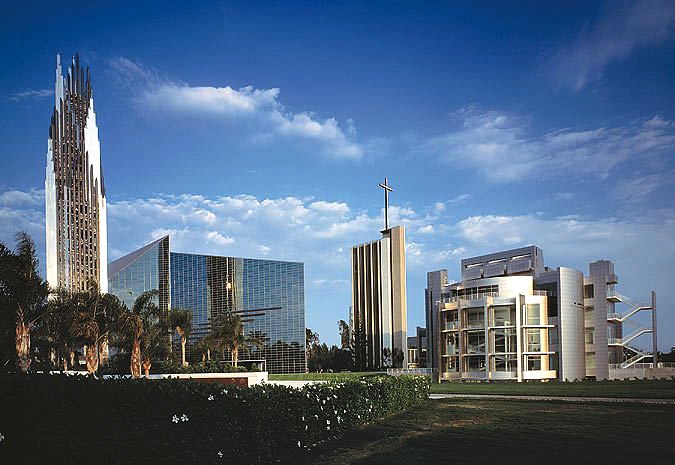 Purchasing the Crystal Cathedral property resolves the issue and will allow the Diocese to establish their Cathedral more quickly and economically. So, the only question that remains is, will Bishop Tod Brown redecorate?